Low oil prices are here to stay. Consumers are rejoicing but petroleum companies in Canada, the US, Europe, Russia and elsewhere are reeling. Behind the drop in prices are major geopolitical concerns and serious consequences. Oil prices are down thanks to an oversupply of oil and – to a lesser extent – diminished demand. Usually when prices drop the Organisation of the Petroleum Producing Countries (OPEC) steps in, cuts supply and stabilises prices. This time OPEC has shown no signs of halting the free fall. There are two primary reasons why OPEC has decided not to intervene: preservation of market share and geopolitics. 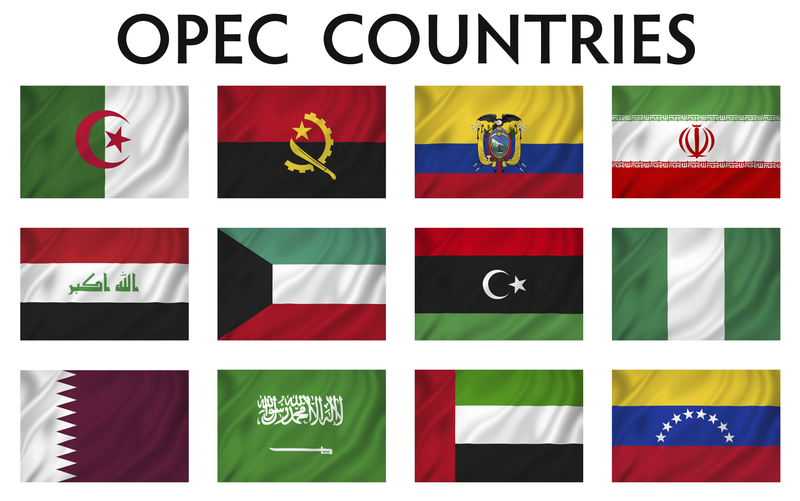 OPEC is composed of Algeria, Angola, Ecuador, Iran, Iraq, Kuwait, Libya, Nigeria, Qatar, Saudi Arabia, the United Arab Emirates and Venezuela. The organisation has traditionally acted uniformly but OPEC has never faced so much outside competition from other oil producers. Some experts believe that this pressure (as well as political tension between member countries) is causing OPEC to fracture. Much of the oversupply of oil has been the result of American oil shale and Canada’s tar sands. Both of these oil extraction methods are expensive, so too are Northern European offshore rigs and Russian oil. Spending and jobs are already being axed in Alberta’s oil sands. By dropping the price of oil, other petroleum producers (as well as alternative sources of energy) may be rendered unprofitable and forced out of the energy market. This leaves OPEC with a greater market share. Other producers simply cannot compete when prices are so low. By preserving their market share Saudi Arabia and her allies are also preserving their geopolitical importance. Over the last 50 years Saudi Arabia positioned itself as a chief American ally. An energy independent United States might look less favourably on Saudi Arabia. If domestic producers in the West are priced out of the market then the West will once again be dependent on OPEC oil. This will hand OPEC’s biggest exporter – Saudi Arabia – a massive bargaining chip. Iran and Saudi Arabia are both OPEC members but the two countries are regional rivals. Saudi Arabia is a Sunni country. Iran is a predominantly Shia country. Saudi Arabia supported ISIS – who are Sunni. Iran supported President Assad’s Syrian government – which is Shia. Both countries fueled the brutal sectarian violence that devastated Iraq during and after the American occupation. Saudi Arabia and Iran have been long vying to become the Middle East’s regional power. Falling oil prices will hit Iran hard – and the Saudi’s know this. Iran may not be priced entirely out of the market like other producers but their oil revenue will begin to dry up. The effects of diminished oil revenue will be doubled by pre-existing Western sanctions. Iran relies on oil revenue to maintain order within its borders and prop up Assad’s government in Syria. Dwindling oil revenue could lead to internal instability in Iran and a lack of resources available to the Syrian army. By forcing OPEC to continue to drop prices, Saudi Arabia is landing a major blow against two regional rivals – Syria and Iran. Russia, like Iran, has been responsible for propping up the Syrian government. It has blocked UN Resolutions and other international efforts to topple Assad’s regime. Russia has a strategically important naval base within Syria and will not give up Syria under any circumstances. In response to Russian aggression in Ukraine the US slapped Russia with serious sanctions that have hurt the country. Now, more than ever, oil revenue is vital to Russia’s economy. Plunging oil prices in the late 1980’s shortened the Soviet Union’s lifespan – the same might happen to Putin’s Russia. Not all oil producing countries are being targeted by the recent drop in oil prices but all will be affected. Venezuela is the biggest critic of the United States in the Western hemisphere and has long been the subject of Western sanctions. Venezuela is an OPEC member and is reliant on oil production to fund its repressive government and broad social programs. Like Russia and Iran, the double blow of sanctions and plunging oil prices could create devastating (even potentially regime changing) consequences. Nigeria is also dependent on oil revenue. Despite rampant corruption some oil revenue does make its way into government coffers. The country seems on the precipice of destabilisation. It is in the midst of fierce elections, a Boko Haram insurgency and plagued by an ineffective and corrupt government. The falling price of oil could decimate oil production in Europe, North America and Russia. In doing so this would enhance the regional and global importance of Saudi Arabia and her gulf allies. But there is another winner: America. Falling oil prices mean less revenue, economic turmoil and potentially devastating internal unrest in Iran, Venezuela, Syria and Russia – all of which are hostile to America. The American petroleum and alternative energy sectors will suffer but the worlds largest economy should be able to shoulder the burden and reap the political benefits.